Are You Prepared for Emergency? How About Disaster? Home→Preparedness→Are You Prepared for Emergency? How About Disaster? ← Does Gardening Relieve Stress? An emergency is something that comes up which is usually at least a little dangerous and unexpected. It requires immediate action. It could be your child throwing up on your good clothes just as you were leaving for an important meeting. It could be the ATM machine not working when you are out of cash. It could be an accident of some sort. One factor in all emergencies is an element of unpleasantness. A disaster is even worse. It typically also has the characteristic of being sudden, but a disaster leads to loss of life, a large amount of damage, or both. How will you cope? Some people naturally have more equanimity than others. Even if you don’t naturally have a cool head in a crisis, you can work on developing one. A simple way is to visualize yourself having to deal with something overwhelming and doing so calmly and competently. That’s pretty much how most people prepare for emergencies and disasters… they know it’s a good idea but don’t make the space to carry out any ideas they have. But if you do plan ahead, you will be calmer and more effective in a crisis. That’s worth some trouble. Hurricanes, tormados, and other mega-storms happen. Do you want to be competing with others in the grocery store for the last batteries or bottles of water? Earthquakes happen with no warning but if you live in an earthquake zone you know it can happen. Economic crises may give some warning but if you read the news, who are you going to believe? 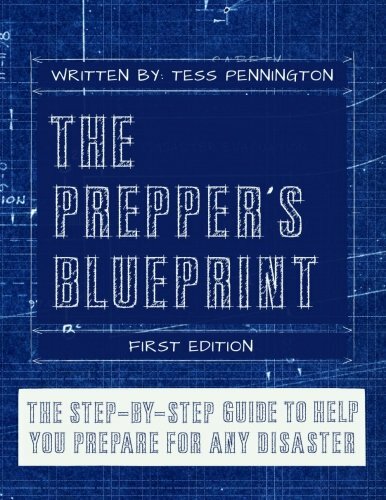 Whole books are written about this (and I’ll give you a link to my favorite one a bit further down) but I will attempt a truly minimal overview of preparedness here. Let’s consider water, food, dwelling, and money. You can’t live long without water, maybe a few days. So how good an idea is it to store some? Yep, very good! You can grab some water in those plastic bottles at the grocery store and keep some in your car. 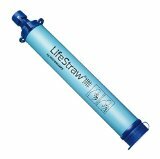 You can get one of these little devices that do an amazing job of filtering water, like the one in the illustration. I could say lots more, but this is an overview. Need convincing on this one? I doubt it. It used to be that most people had enough food in the house that they could eat for days, weeks, or even months. Now with the popularity of fast foods, I wonder how many people have mighty bare cupboards at home. Anyway, stock up a bit every time you go shopping. Anything you’d want to do to make your home more suitable for emergency or crisis? How about flashlights and batteries? Would you be warm enough? Do you have matches to light a fire, if you have a place for one? If you have a motorhome or van, you could keep supplies in it. I don’t mean plastic here. Just as grocery store shelves can empty fast in a crisis, so can ATM machines. If the power is out, plastic is pretty useless. How about cash, in small bills so you can pay for things and some larger ones as well?